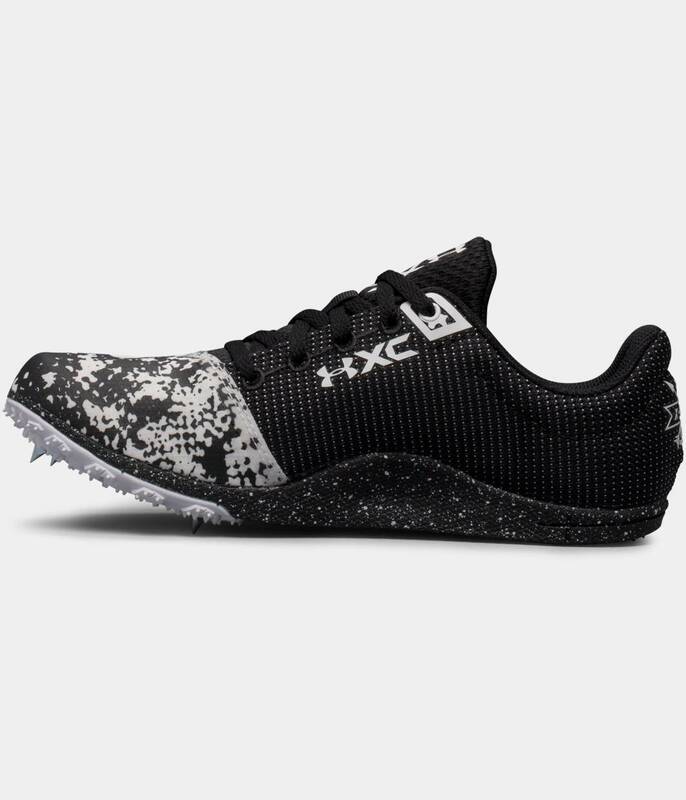 The Under Armour XC Brigade is an aggressive cross country racing spike built with traction in mind. Remove the spikes to convert to a flat. 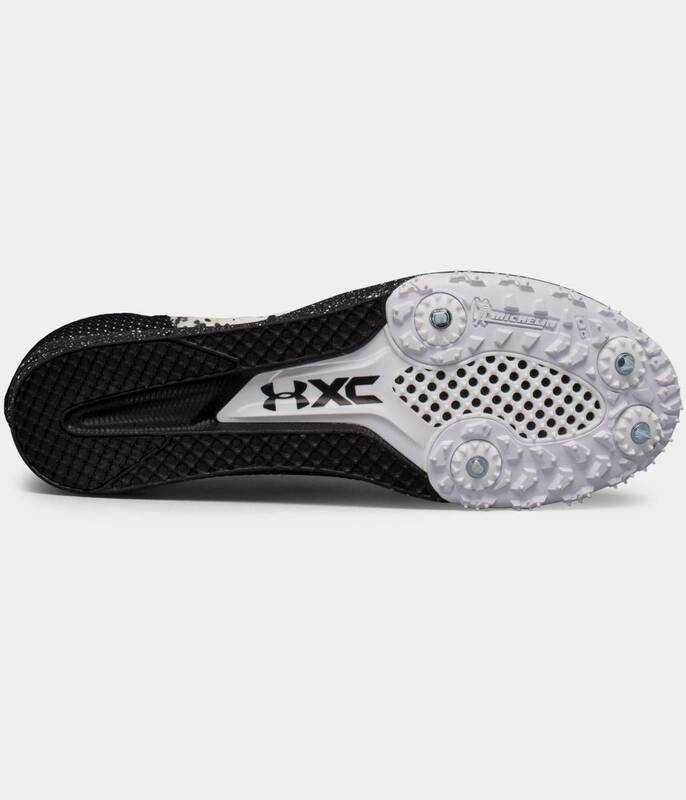 Ideal for rough and muddy conditions, the XC Brigade delivers a stiff, 4-pin spike plate to deliver a responsive ride on race day. Sticky rubber in the forefoot further chews into the ground to help conquer the toughest courses. To keep weight down, the shoe features a lightweight mesh upper that offers a snug, close to the skin feel. 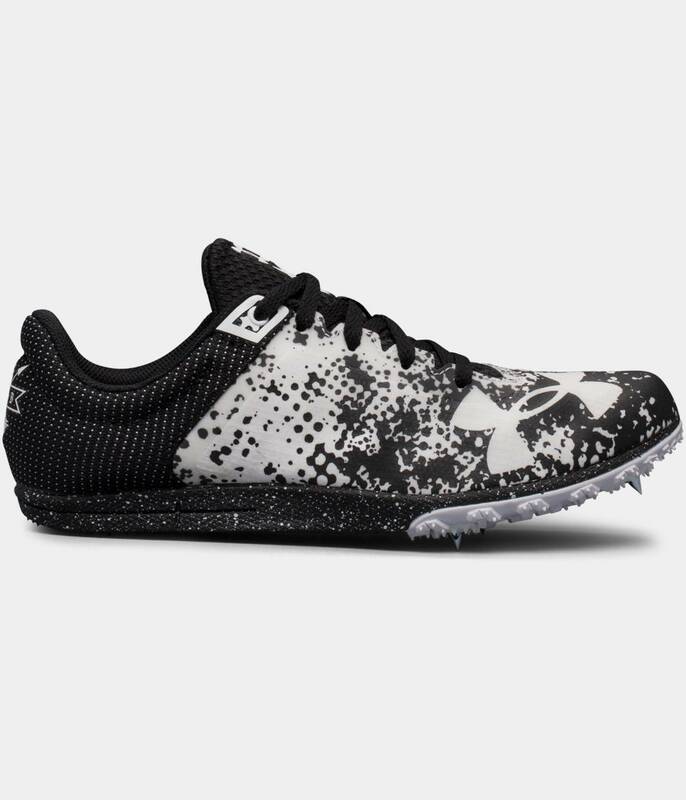 Whether your racing for the win or simply seeking a new PR, the Under Armour XC Brigade delivers ultimate traction in a sleek, lightweight package.